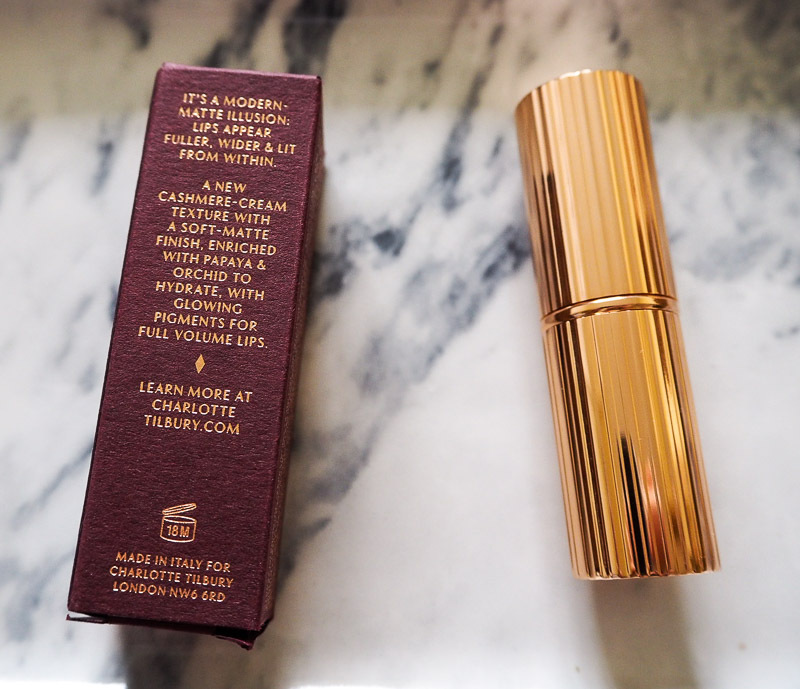 I have been a huge fan of Charlotte Tilbury for a long time. I think she is such an incredibly talented make up artist and I was so excited when she launched her own beauty range. I have been particularly desperate to try her Matte Revolution lipsticks since they first launched and I finally have my very first one. 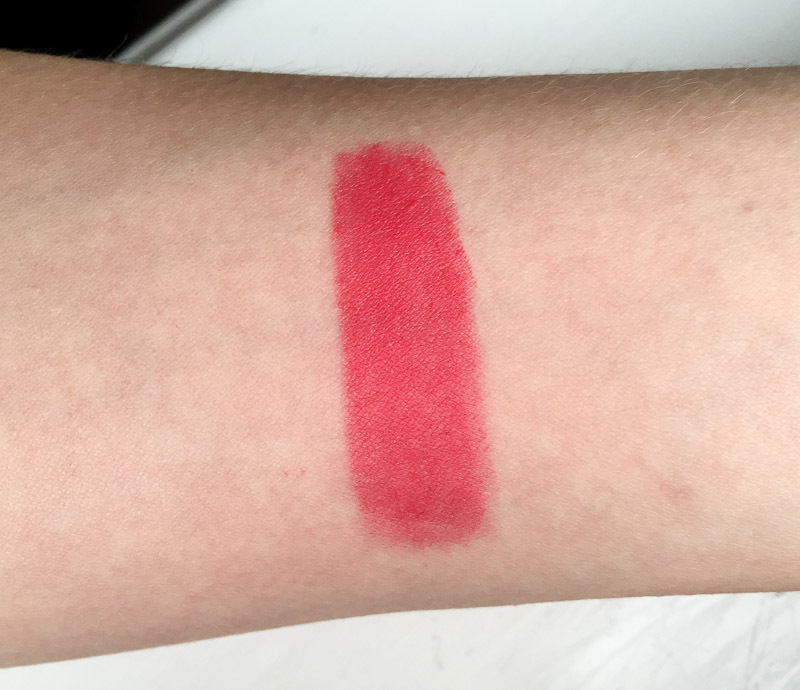 I spent a while swatching all of the different shades, and ultimately ended up with Lost Cherry. There were a few I really loved, but there was just something special about this colour. Firstly, can we just take a minute to appreciate the packaging? The casing of the lipstick is stunning. It looks quite gold in the photos but it’s actually a beautiful rose gold colour. I get the impression a lot of care and thought has gone into the packaging’s design for all of the products in the Charlotte Tilbury range. It screams luxury and is the perfect mix of vintage luxe whilst being totally modern at the same time. Truly some of the nicest make up packaging I’ve ever seen. Now let’s move onto the review. Charlotte Tilbury Matte Revolution lipsticks are described as being luminous modern-matte long-lasting lipsticks, designed to create the illusion of fuller, wider lips with a buildable and hydrating formula. I always favour a matte lip as I not only love the matte look but they usually last a lot longer. The downside is that typically they end up being drying on the lips, clinging to every bit of dryness or flakiness, and often settling into and emphasising lip lines. They can also be an absolute pain to apply because of their dry formula, with plenty of dragging across the lips involved in the process. 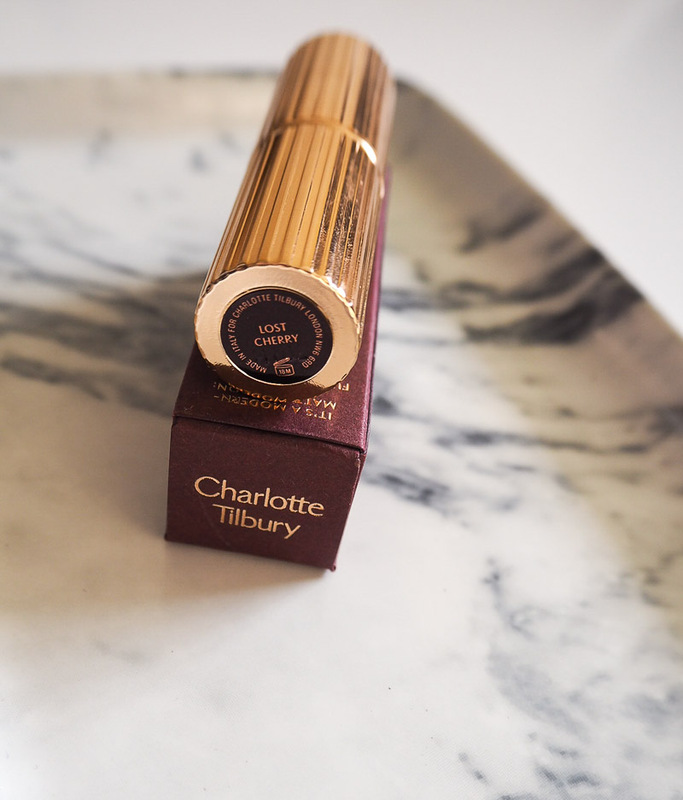 This Charlotte Tilbury matte lipstick is something quite different though. It’s described as being the matte lipstick of the future and I can see why. It’s nothing like the matte lipsticks I’m used to, and believe me, I have a lot. This little beauty glides on so easily, almost like a balm. I don’t know if I’d necessarily describe it as creamy, perhaps more emollient. It has great pigmentation and feels so lovely and comfortable on the lips whilst you’re wearing it. It only has a soft matte finish, but it is matte enough. I didn’t feel it doing any hydrating to my chronically dry lips, but it wasn’t drying at all which is a big win for a matte lipstick. And it still has impressive wear time and lasted for quite a few hours. I did find it eventually started to settle into my lip lines, but all lipsticks do that on me. The important thing is that it didn’t emphasise them or create that cracked appearance you sometimes get with mattes. I can’t even tell you how much I hate that. I particularly love the uniquely shaped square tip of the lipstick bullet. It’s been specially designed to replicate the classic shape of a lip brush to help colour glide on easily and more precisely. I wasn’t sure what I thought of it at first, but after applying the lipstick I think it works perfectly. I actually apply lipstick direct from the bullet onto the centre of my lips and then I’ll always use a lip brush at the edges and corners. I still did that with this lipstick, but I found the shape of the bullet to be extremely easy and practical to use and I could go much closer to the edges with more precision. There was only one negative for me, and I imagine it’s actually a pro for a lot of people. It wasn’t as opaque as I was hoping. I can’t hold this against the lipstick as its description clearly states it as being buildable to create more versatility. I just like bold colours like this to be opaque and intense at first swipe, and this wasn’t. It was more of a medium opacity, but it was very buildable. I applied 2 good coats in the photo of me wearing it and likewise in the swatches. Lost Cherry is described as being a pop of pastel fuchsia. I find it to be more of a coral fuchsia, with a little redness to it. It’s an absolutely gorgeous colour. I knew from first swiping it across the back of my hand that this lipstick and I were going to be very happy together. I’ve tried this kind of coral pink shade many times from various brands, but none of them really worked that well for me. I am head over heels in love with Lost Cherry though. It’s hard to capture in photos but it almost has a radiance to it as well which is just beautiful. 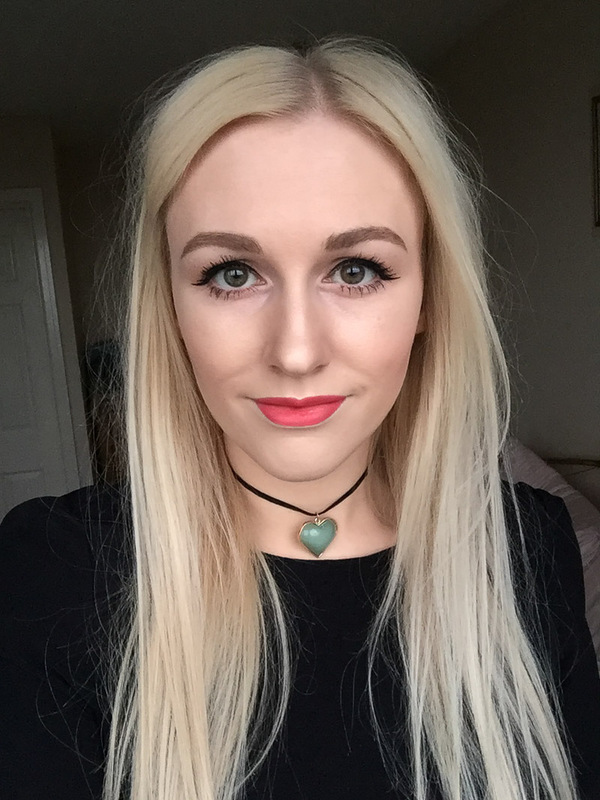 It gives a lovely pop of colour without being too bold against my pale skin. It’s already become a favourite. I’m so happy with this lipstick. It is an expensive, luxury make up purchase, but you’re getting a very high quality, very special lipstick. 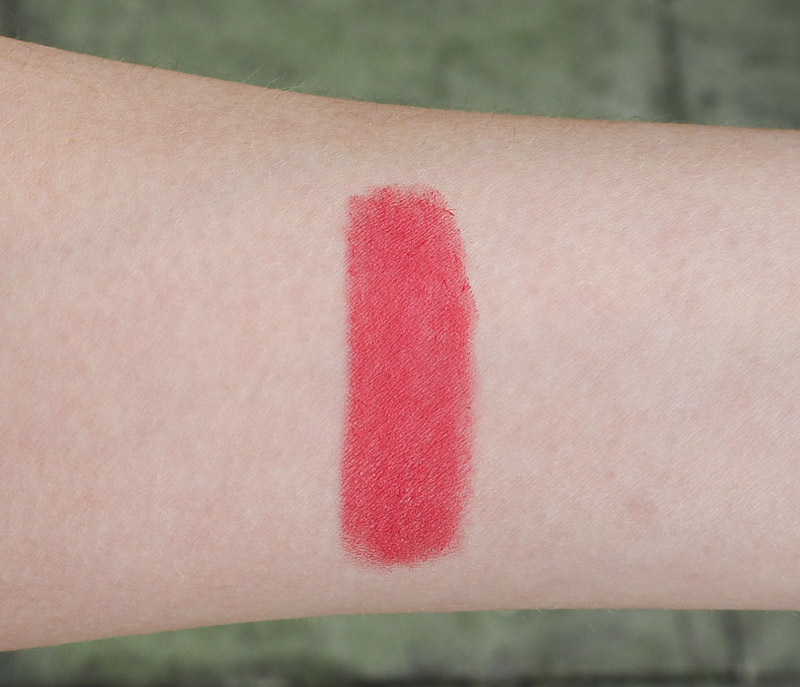 I’ve only tried this one shade so I can’t comment on consistency within the range, but from swatching them I think they are all going to be just as amazing. I can’t recommend Lost Cherry enough and I’m already trying to decide which shade I want to try next. 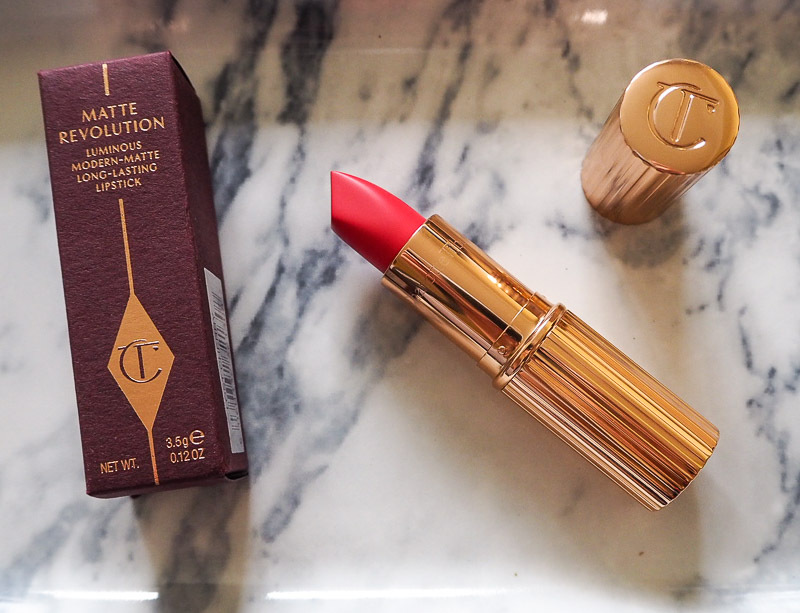 Have you tried Charlotte Tilbury’s Matte Revolution lipsticks? What do you think of them? 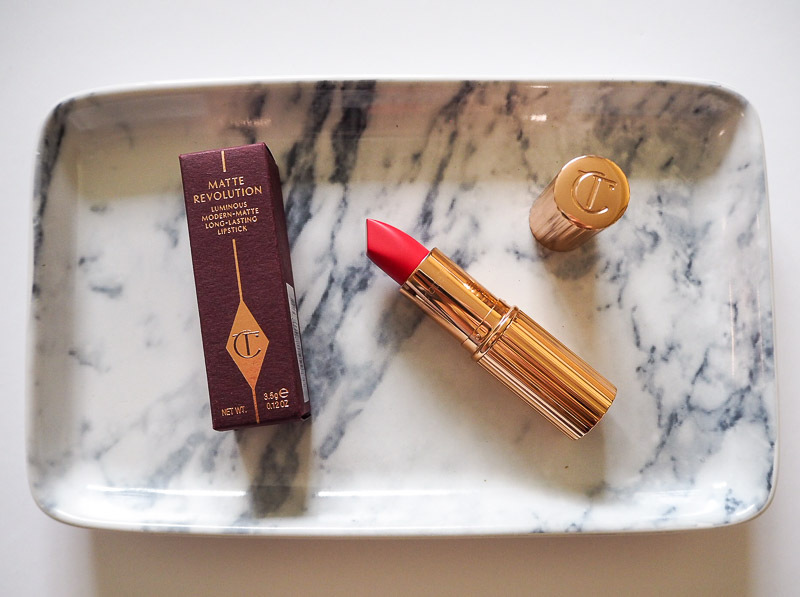 Charlotte Tilbury Matte Revolution Lipsticks are £23. Sold at various high end department stores and at charlottetilbury.com. What an incredibly gorgeous colour! 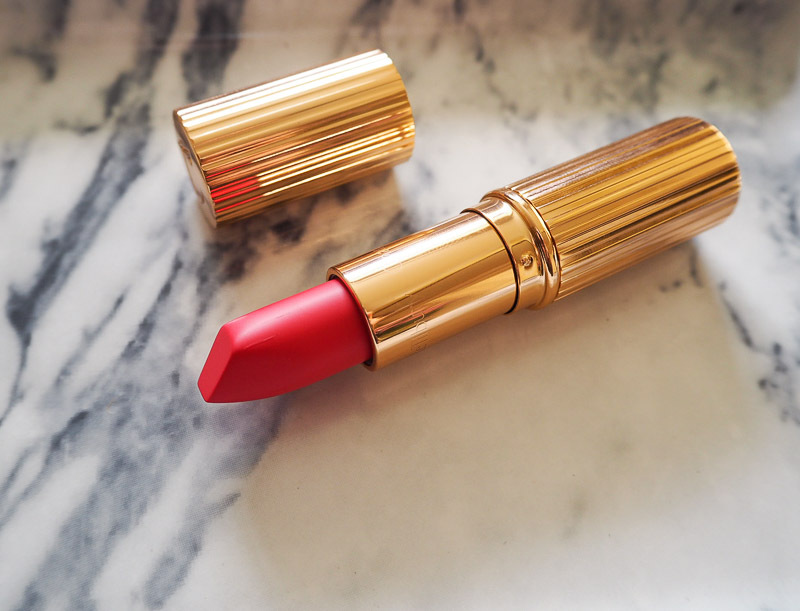 I totally love everything matte concerning make-up, and this lippie is no exception! Also the colour suits you so incredibly well, love your #motd! Thank you for sharing this wonderful and detailed review! How pretty is that lipstick! I agree with you about the packaging? The gold case makes it look so glam. I especially love the color on you, you suit it perfectly. I have the same issues with matte lipsticks, they dry and crack and settle into my lip lines, so I've enjoyed your detailed review of thia brand. Now I wonder if we have it in Australia! It is so gorgeous I can't even!!! Your review was fab hon & it looks perfect on you. I love CT lippies <3 I know what you mean when you say it's so difficult to capture and show the real beauty of the shade. This shade is a stunner.